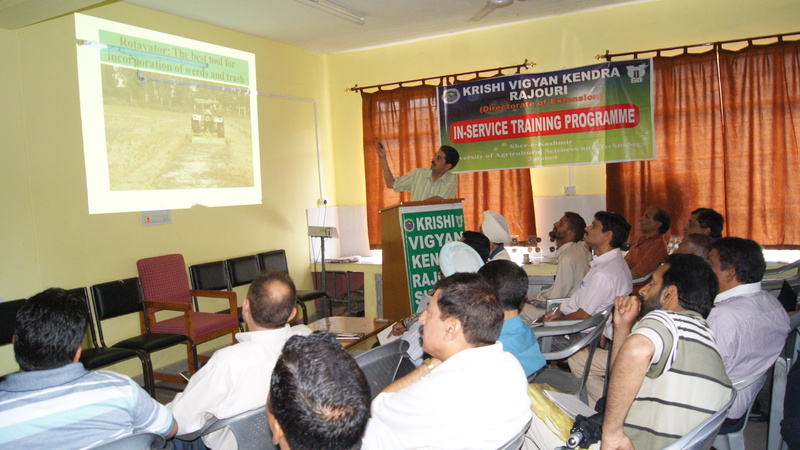 Krishi Vigyan Kendra, Rajouri employees a team of experts (Subject Matter Specialists) from six different disciplines of Agriculture and allied sciences along with one station in-charge (Programme Coordinator). 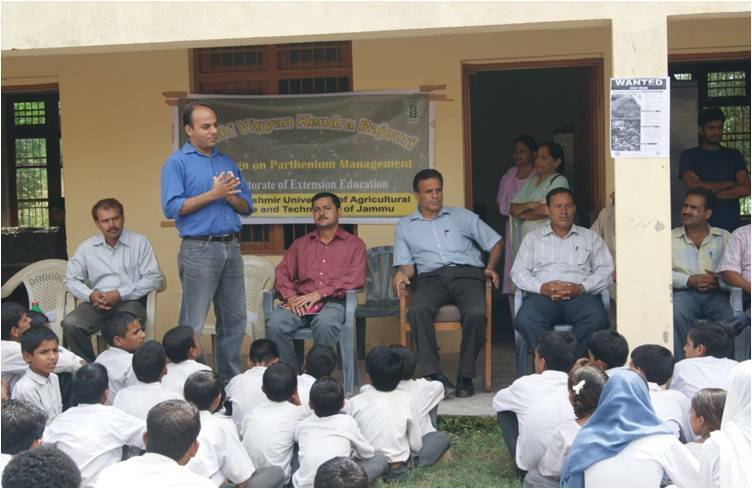 • Demonstration of cash crops like fodder grasses, medicinal plants and herbs etc. 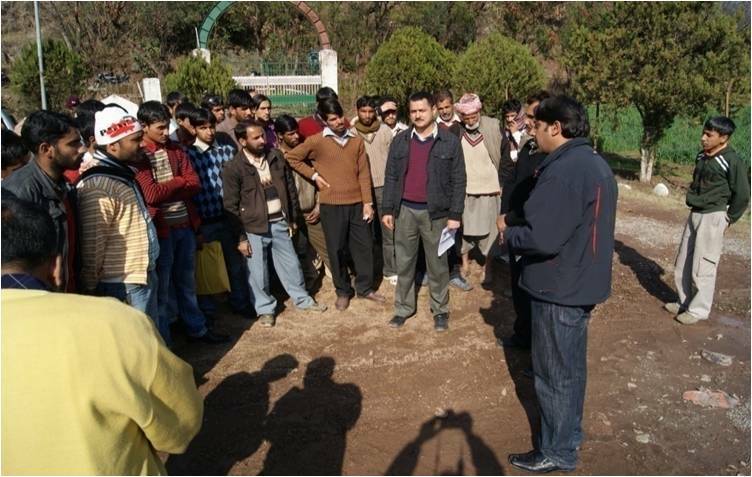 • Farmer’s interested to undergo training on specialized subjects in Agriculture, Animal Husbandry or allied disciplines at their village may send a request letter to the Programme Coordinator, KVK Rajouri. 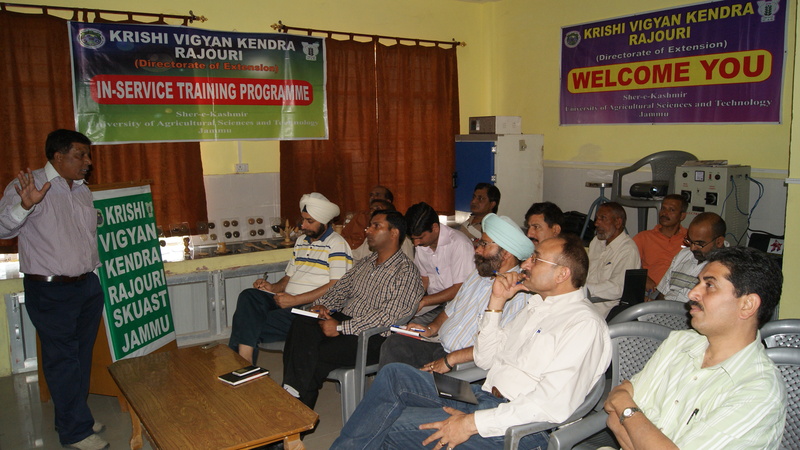 • KVK experts can also provide guidance to the farmers regarding starting a new agricultural, Livestock or allied enterprises, loans and subsidies available to start these ventures in etc.